The following is a transcription of the Pioneer Park Cemetery located in Vernon, British Columbia, Canada. Latitude: 50o 16' 3.15" N.
Longitude: 119o 17' 10.12" W.
The original cemetery for Vernon was established in the mid-1880’s on a plot of land in the 3700 block of 35th Avenue. 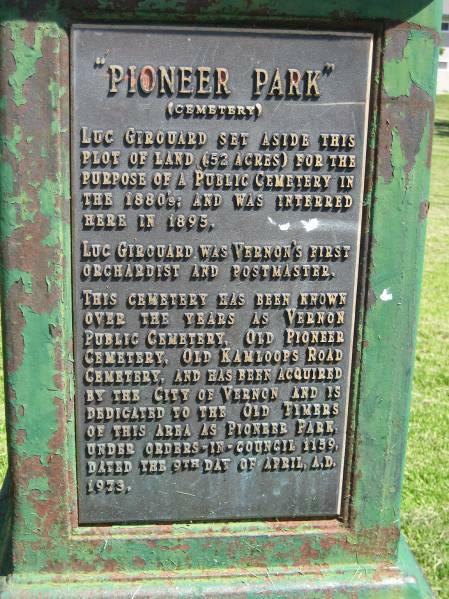 The land was donated for a burying ground by Luc Girouard, who was the postmaster of Priest’s Valley which later became Vernon named in honour of John Forbes Vernon. The cemetery has undergone a number of name changes including ‘Vernon Cemetery’, ‘Old Cemetery’ and ‘Old Vernon Cemetery’. It was re-dedicated as the ‘Pioneer Park Cemetery’ on Friday, May 8, 1975. 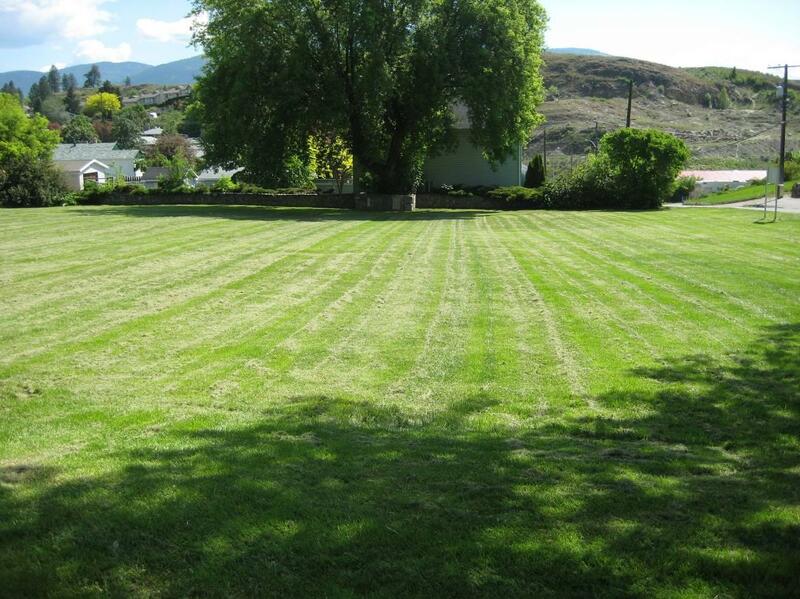 By 1901, the City of Vernon decided to purchase land for a new cemetery site as the present cemetery was nearly full and the surroundings and soil were unsuited for burial purposes. The cemetery had also become very unkempt and dreary and the citizens of Vernon were calling it a disgrace. Land for the new cemetery was eventually purchased on Pleasant Valley Road and Pioneer Park Cemetery was closed. The cemetery boundaries enclose an area of approximately 0.52 acres of Lot 70, Group 1 on Plan B690. It is bound by roads on three sides and on the east side by a private dwelling. All markers from the burial plots have now been removed. 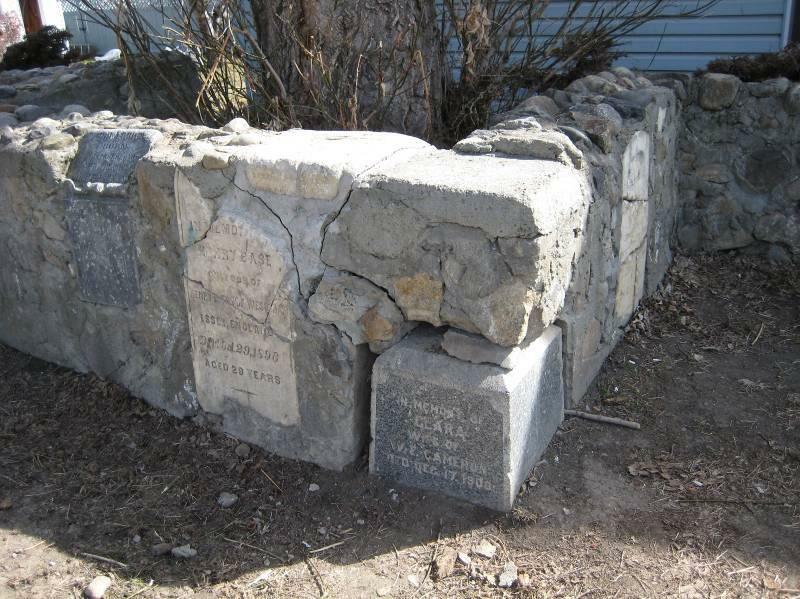 Some of the markers were placed in a memorial wall at the east side of the cemetery, some were moved to the Pleasant Valley Cemetery and others that were beyond repair were removed permanently. The Pioneer Park Cemetery is accessed from 35th Avenue off of Alexis Park Drive in Vernon. 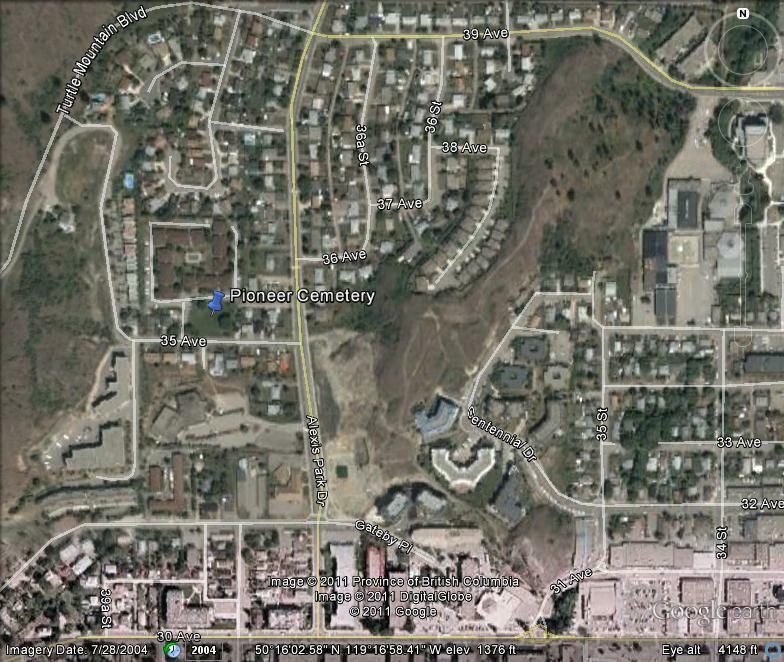 The cemetery is on the right approximately 100 metres along 35th Avenue. The Vernon & District Family History Society is in the process of creating a publication on the interments of Pioneer Cemetery.